• Water thoroughly immediately after installation. Soak soil 4" to 6" deep beneath the sod. • On very hot days, water small sections at a time immediately after installation. 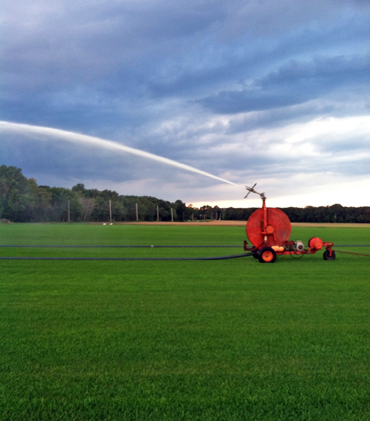 • Watering immediately is the most important factor in ensuring the survival of your sod! Adequate, but not excessive, watering is crucial. • Check sod strips daily to see whether the soil underneath is moist. Continue until you can no longer lift sod strips at corners. • After 2 weeks, reduce watering frequency to every 2 or 3 days for a month. Water as needed after the month is over. • Do not mow for several days after installation. • Mow to a height of 2" to 2 1/2" for the first 2 or 3 mowings. 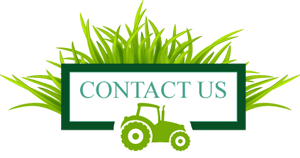 • If using a rotary mower, throttle down to avoid lifting or damaging the sod. • Once the sod is well rooted, reduce cutting height to 1" to 1 1/2" in sunny locations. • Continue mowing to a height of 2" to 2 1/2" in shady areas. • Do not apply fertilizer or weed-control chemicals to newly installed sod. • Once the sod is well rooted (5 to 6 weeks after installation), lightly fertilize it. • From there on, follow the fertilization schedule.